John Hall is continually recognized as one of Central Ohio’s top commercial office brokers. 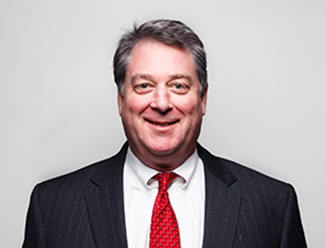 During his 25 year career in commercial real estate, John has leased or sold over 13 million square feet of suburban and downtown office space. John constantly receives accolades from clients and has earned numerous corporate and industry awards for customer satisfaction and outstanding achievement in the industry. To date, John’s leasing and sales volume exceeds $1 billion dollars and averages over 50 transactions every year. John continually receives accolades for being one of CBRE’s top producers. Armed with an outstanding knowledge of the local market, a strong commitment to client satisfaction and levelheaded negotiating techniques, John has a proven record of finding, securing and closing favorable lease terms and investments for his clients. John’s sophisticated analytical skills and his deep understanding of all aspects of commercial real estate ensure that his clients receive the best possible representation no matter how complicated the assignment. John’s integrity, enthusiasm for the business and dedication to clients are all traits that have helped him achieve an extraordinary level of success. John’s extensive experience in leasing and sales of suburban and downtown office properties make him a top producer for the company and his clients. John is often quoted by Central Ohio’s media outlets and has been asked to write articles for various publications concerning all aspects of commercial real estate. IBM - 4600 Lakehurst Ct. Note - You earn the right to do the big deals by doing a great job on smaller assignments.